Dr. Maha Hilal is described as an academic activist. Using research and writing, Maha passionately stands against Islamophobia and false narratives. She earned her doctorate in May 2014 from the Department of Justice, Law and Society at American University in Washington, D.C. The title of her dissertation is “Too damn Muslim to be trusted”: The War on Terror and the Muslim American response. 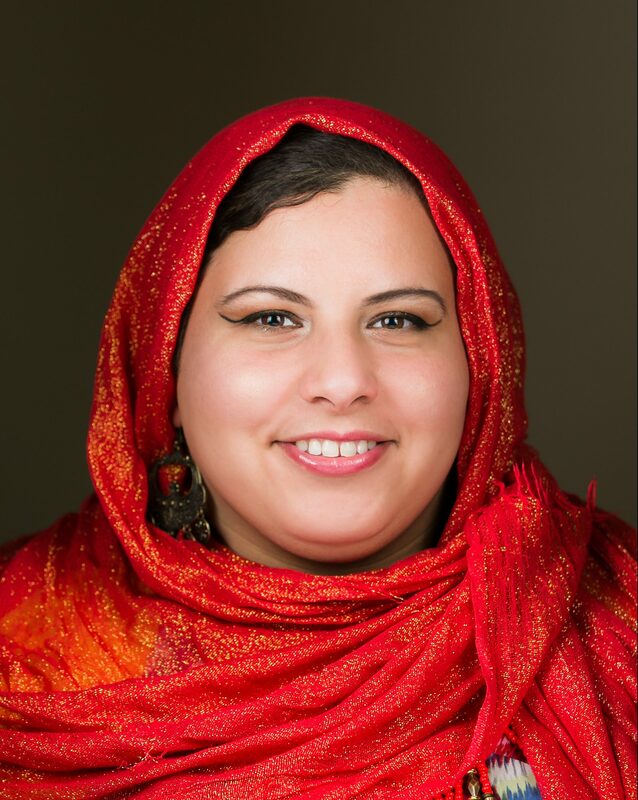 Dr. Maha Hilal is the co-Director of Justice for Muslims Collective where she focuses on political education addressing institutionalized Islamophobia. Previously, she was the inaugural Michael Ratner Middle East Fellow at the Institute for Policy Studies in Washington, D.C. where she produced research and writing on the consequences of the War on Terror on the Muslim community. Dr. Hilal is also an organizer with Witness Against Torture and a Council member of the School of the Americas Watch. She earned her doctorate in May 2014 from the Department of Justice, Law and Society at American University in Washington, D.C. The title of her dissertation is “Too damn Muslim to be trusted”: The War on Terror and the Muslim American response. She received her Master’s Degree in Counseling and her Bachelor’s Degree in Sociology from the University of Wisconsin-Madison. She has worked at a number of human rights/social justice organizations including the Center for Victims of Torture, the National Religious Campaign Against Torture, and the Government Accountability Project. Dr. Hilal was previously a Christine Mirzayan Fellow at the National Academy of Sciences as well as a recipient of the Department of State’s Critical Language Scholarship for Arabic study in Morocco. Maha also created The People of Color’s Academic Activist Network to address the challenges that people of color face in academia. This includes being marginalized and silenced in addition to claims that people of color are being “biased” when conducting research on their “own” group. The network aims to connect people of color to one another and to create and facilitate the creation of safe spaces. The goal POCAAN is not to help people of color adjust to the status quo within academia, but rather to carve out spaces for comprehensive and divergent perspectives and research.